The Perfect McCall Getaway Home for Golf Enthusiasts! Located on a Golf Course, this lovingly upgraded, two-level townhome sleeps six downstairs in three, private bedrooms. The master bedroom has an attached bath. Downstairs has a second bathroom off of the main hall. Spacious living area with lots of comfortable seating and big screen TV. Thoughtfully equipped and elegant kitchen is a "Chef's" dream with lots of workspace. Formal dining table and counter seating. Amble down the wide and well lit hallway and enjoy the art. At the top of the wide, naturally lit stairwell you’ll find two sets of adult, twin over full size futon bunk beds, bathroom and TV lounge. Laundry and pantry located at bottom of stairs. Just out the sliding door from the living and dining area is a spacious patio with gas grill and Hot Tub! Gather around the table and dine outdoors, play a game of cards or just relax. With garage access, there is enough parking for vehicles towing trailers. 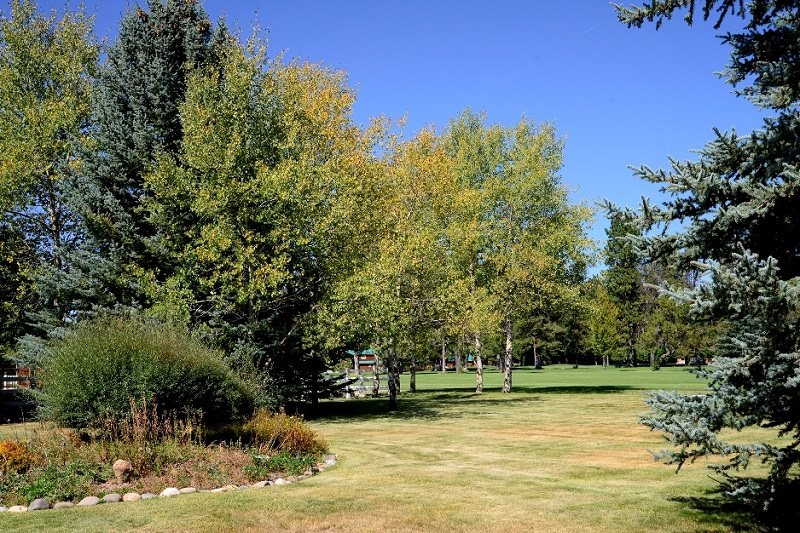 This townhome is located right next door to Bear Country and just a few doors down from the Fairway Lodge – gather friends and family for a golf vacation and play all of the McCall courses! During the winter months, bring your snowmobiles - plenty of room for trailers! Close to everything! Less than a five minute drive to downtown shops, restaurants and entertainment and less than five minutes to a nature walk in Ponderosa Park. Better yet, bring your bikes and cycle or just pat the pavers in your walking shoes – close to Davis Beach, Legacy Park and the Alpine Playhouse! During the winter months, make that five minutes drive to dozens of Nordic trails or backcountry snowmobile access. Walk to Winter Carnival sculptures, bonfire and fireworks!